Laminate flooring is cheap and readily available, and sometimes considered as an alternative to bamboo flooring. At first glance, laminate floors look very similar to natural wood but look a little more carefully the differences aren’t too difficult to spot. That nice looking wood-like appearance doesn’t use any wood at all; it’s a photographic image of wood printed onto paper and protected by a transparent plastic layer. To save you some head scratching about whether laminate flooring is right for you, we have produced a detailed side by side comparison of the most critical aspects of these two flooring options. 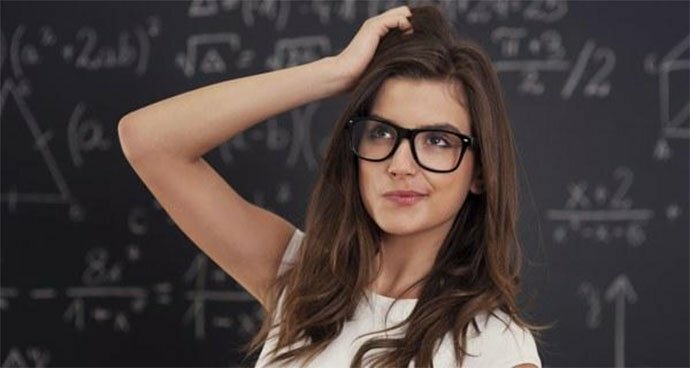 Too much head scratching? Read our guide. Our panel of experts has scored each major point out of 10 with 10 being the most desirable. So, look at the aspects that you most care about and add up the scores. Bamboo flooring, and especially strand woven bamboo flooring, is extremely resistant to denting. That’s hardly surprising as it’s at least three times harder and more resilient than real oak flooring. You can comfortably rest even heavy furniture on bamboo flooring without worrying about denting the floorboards. While we do recommend that you remove your high heeled shoes before walking on it, it is completely resistant to wear and tear from heavy traffic. Here we talk about the Janka hardness of bamboo and recommend you read it more information on why strand woven bamboo is so hard. We score it 10 out of 10. Thus it is important to check out the AC rating before you install laminate flooring, or you may well end up disappointed with its wear characteristics. We give it 8 out of 10 for hardness. Nowadays most people are at least to some extent concerned about the environment. There is now more than enough evidence that damaging the environment can have catastrophic consequences to our planet’s climate. Storms, hurricanes, flooding, heatwaves, devastating forest fires, and now record life-threatening cold snaps are all the direct result of the environmental choices we make. There is, however, no doubt that one of the most beneficial choices we can make is to use bamboo flooring. Bamboo, a grass, grows prolifically reaching maturity for harvest in just five years. After harvesting, the plant naturally regenerates, so we can come along five years later and re-harvest it. We don’t need to use environmentally damaging pesticides; it doesn’t erode the soil; it doesn’t even use much water. Its environmental credentials are impeccable. For eco-friendliness, we give it 10 out of 10. Unfortunately, we can’t say the same about laminate flooring. It is nowhere near as eco-friendly as bamboo, though it does have some positive environmental aspects. The bulk of laminate flooring is made from wood fibers derived mainly from recycled wood fiber and chips; which means that no new trees are used in the process. We can also recycle laminate floors. However, there are some aspects of laminate flooring that not environmentally friendly. For instance, melamine resin is used in its manufacture, and melamine resin is made from formaldehyde, a toxic, carcinogenic chemical. For eco-friendliness laminate flooring scores 6 out of 10. There is nothing quite like to sound of a bamboo forest; check out the video below. We recommend that you read what the US Protection Agency says about indoor air quality. Be warned though; you might be a little shocked about what they have to say. Fortunately, they provide some excellent guidance on what we can do to improve the quality of air in our homes. The main culprit is VOC or Volatile Organic Compounds. Produced by off-gassing from a wide range of home products, it is important that we do our best to minimize them. Laminate flooring has acquired a bad reputation for VOC emissions due to materials such as formaldehyde used in its manufacture. Some laminate floors still do emit quantities of VOCs. 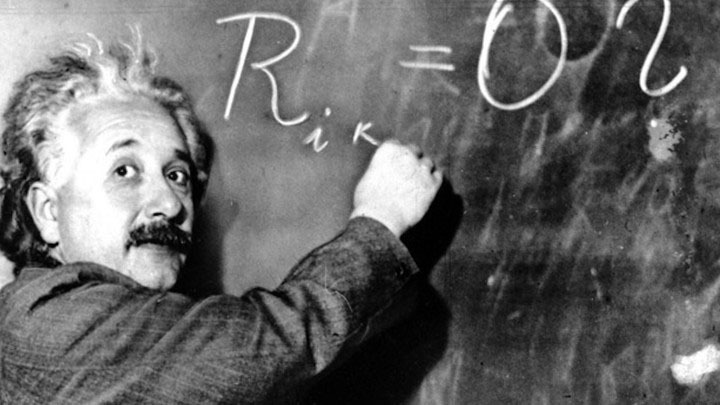 However, if you shop around you will find laminate flooring that boasts meager quantities of VOC emissions. We advise that you look at the CARB 2 compliance which sets the limits for formaldehyde emissions. CARB stands for California Air Resources Board, and while this doesn’t apply across the US, progressively more states are adopting it, and it does make good sense. If you intend to use laminate flooring, we advise you look at its CARB2 compliance rating. Overall we give laminate flooring 6 out of 10 for indoor air quality. For more information on formaldehyde check out the video below. Getting out of bed on a cold and frosty morning isn’t always a lot of fun, especially when the first thing your feet encounter is a cold floor. 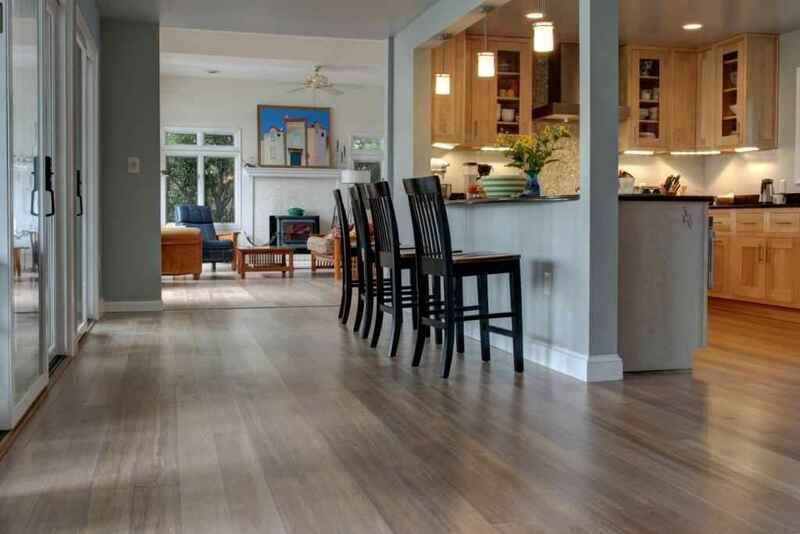 While rugs and carpets are the warmest options, bamboo flooring is also a close second and very much better than tile, polished concrete or all those other toe-freezing alternatives. Bamboo flooring is naturally insulating so it will never feel really cold. Walking barefoot on bamboo also feels really cool, not cold cool, just cool as in good. You can always use a bedside rug for a little extra warmth. For comfort for walking, we give bamboo flooring 9 out of 10. Regarding comfort for walking, technically there is little to choose between bamboo flooring and laminate. Scientifically we can’t justify it, but it seems to feel nicer walking on bamboo than it feels walking on wood. We give it 8½ out of 10. 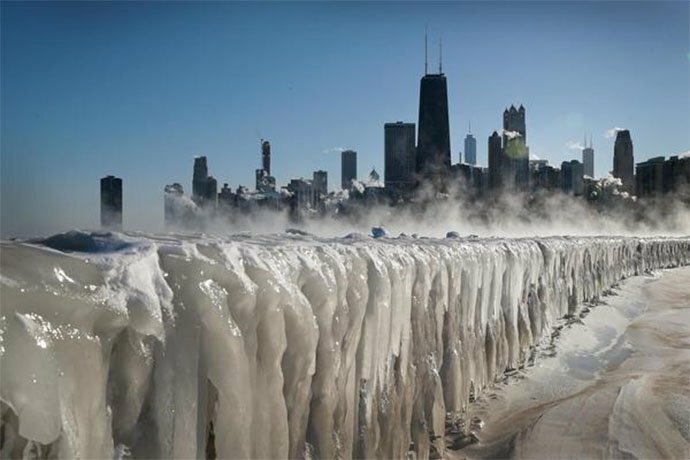 You need a little extra warmth when it’s cold enough to freeze Lake Michigan. While being far from waterproof, bamboo flooring can tolerate water spills for up to 20 hours without suffering ill-effects. It is considerably less susceptible to water damage than hardwood floors as it doesn’t absorb water into its grain. For instance, many people safely install bamboo floors in their kitchens, but it is not advisable to install them in places subject to frequent wetness such as shower rooms. As long as you take reasonable care, you won’t encounter any problems. We rate bamboo flooring’s water resistance as 8 out of 10. Laminate flooring is made out of fibreboard, paper, and a protective coating. While the protective coating itself is water resistant, the bulk of the flooring isn’t. If you spill water onto a laminate floor, it will penetrate the gaps between the planks and cause the fibreboard to swell. Fibreboard acts like a sponge, soaking up the water and expanding in size. This causes severe damage, and the only cure is to replace the damaged floor. However, it is possible to find so-called waterproof laminate flooring. This uses a waterproof coating to protect the grooves and underlying fibreboard, but although it is more water resistant than standard laminate, we suggest you read some reviews before committing to buy. For water resistance, laminate flooring scores 3 out of 10. As bamboo is such a sustainable material and readily available; bamboo flooring costs very much less than hardwood. With bamboo compared to hardwood you get a significant price advantage while enjoying all the benefits of hardwood and more. For pricing, we give it 9 out of 10. Laminate flooring is the budget option. Costing even less than bamboo, it’s a great solution for people on a tight budget. As one of the cheapest of all flooring options, laminate deserves your consideration. For pricing, we give it 10 out of 10. Bamboo flooring is an organic natural material; growing and using it improves the natural environment. Although some synthetic adhesive is used in its manufacture, it is almost completely natural. In this category, we give it 10 out of 10. Laminate flooring does use natural materials. As we have said above, it can be up to 75% natural. But the remainder is a combination of various synthetic components such as formaldehyde derived coatings and various resins and fillers. It scores 7 out of 10 for organic natural vs. synthetic. Bamboo flooring has a natural variation in the grain. Every bamboo flooring plank is uniquely different from every other. It is one of the main reasons a bamboo floor looks so great. Some bamboo flooring options look just like hardwood; others have a different appearance; there are many to choose from. But all look entirely natural, stylish and sumptuous. For natural variation in the grain bamboo flooring scores 10 out of 10. There are some great looking laminate floors. Manufacturers have developed various methods to emulate the look of hardwood such as embossing it with a textured finish to make it appear even more like the hardwood it imitates. But ultimately it is an imitation. Look at a laminate floor closely, and you will see repeated patterns on the planks. While it depends on the manufacturer, expect to see woodgrain patterns repeated every 8 to 20 planks. While that might not be a problem for you, once you notice it, it does tend to compromise the illusion that the flooring is natural. For natural variation in the grain, laminate gets 2 out of 10. Bamboo flooring is highly versatile. You can glue it down, nail it down, or float it over the subfloor. You will find all the information you need for installing a bamboo floor in our blog. If you are reasonably skilled at DIY, you might choose to lay it yourself, otherwise, use a qualified floor fitter. If you do it yourself, be sure to follow manufacturers’ guidelines and don’t try to take any shortcuts on steps such as subfloor preparation and acclimating the bamboo planks before laying them. 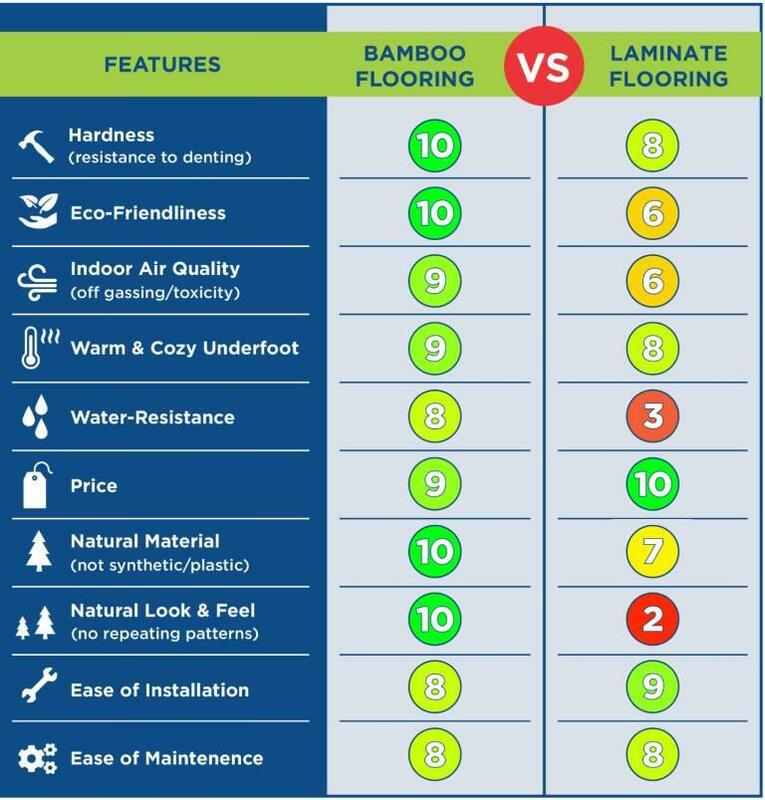 For ease of installation, bamboo flooring scores 8 out of 10. Laminate flooring is easy to install. But it can only be floated on the subfloor; there are no options for nailing or gluing it down. You must use an underlay. Again the talk should be in the capability of a reasonably skilled DIY enthusiast or use a qualified fitter. For ease of installation it scores 9 out of 10; just a little easier than bamboo. Looking after your bamboo floor or laminate floor is simple and common sense. There is little to choose between them for ease of maintenance. Sweep them regularly, use a proprietary cleaner once a week; mop up any spills as soon as they occur (though there is more leeway with bamboo). The big no is steam mopping; neither bamboo nor laminate flooring will take kindly to a steam mop. Here is more on maintaining a bamboo floor but you can also apply the principles to laminate floors. Hopefully, you won’t have to scratch your head any longer. It seems that although laminate flooring wins on price and is a little easier to install, it doesn’t quite live up to real bamboo flooring. Laminate flooring can look natural until you look hard, but bamboo is entirely natural and the difference is telling.